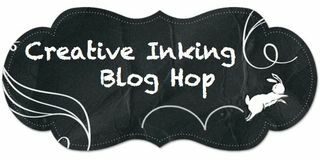 Welcome to the Creative Inking July Blog Hop! 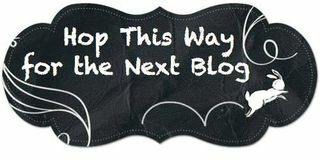 This month's theme is "Be a Big Shot". Oh, the choices of framelits/thinlits was difficult. I finally settled on the Flourish Thinlits and the Circles Collection framelits. And, for a change, I decided to do a simpler version of cards that I normally do. These four cards are relatively easy and would be great to do in a class setting. Melon Mambo, Black, and White is my all-time favorite color combo. That's why I was so excited to see the gorgeous "Pop of Pink" Designer Series Paper in this catalog. For this card, I used the circle framelits to frame around the die cut flower. The flower is three die-cuts and each layer is popped. While it is difficult to see in the picture, I die cut two white scalloped circles, pop-dotted one on top of the other, and framed them with a black circle (the center is cut out by another circle framelit). The card is easy, but has a lot of beautiful depth. 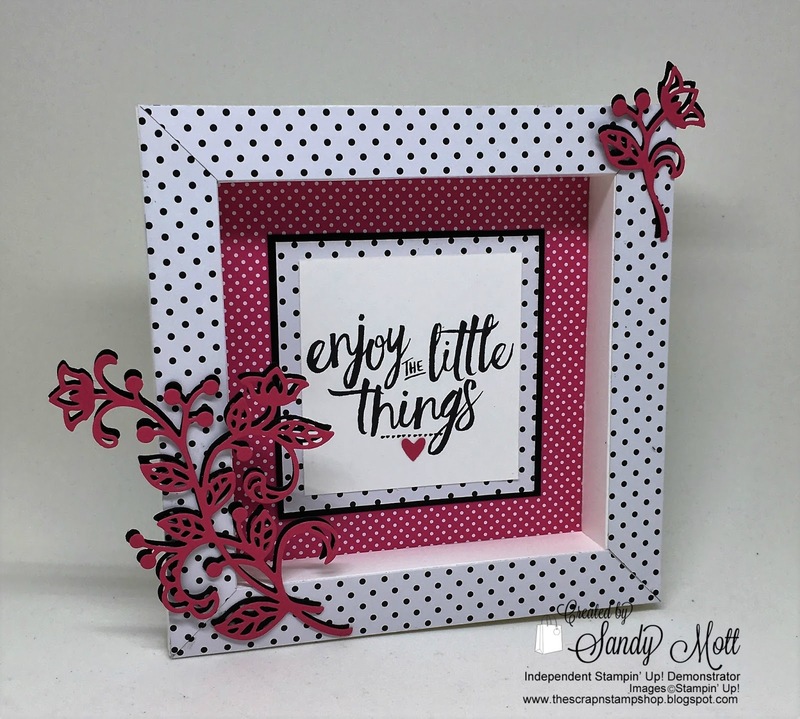 It is simply mounted on whisper white cardstock, framed in basic black cardstock and mounted on the Pop of Pink Designer Series Paper. The sentiment is from the "Flourishing Phrases" stamp set. The above card background was embossed with the Softly Falling textured embossing folder. I simply turned it upside down so very little of the textured shows. 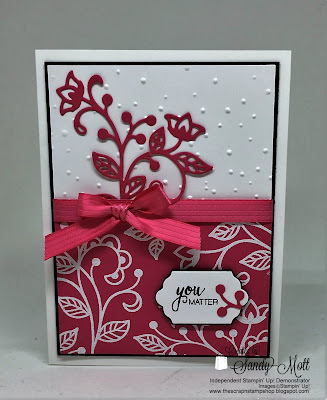 I stamped the large flourish with Versamark and embossed with white embossing powder, then die cut the large flourish for the top of the card. I die cut the little label from "Lots of Labels" framelits and added the sentiment from the "Flourishing Phrases" stamp set. The sentiment is backed with basic black cardstock. I love Box Cards! This is a simpler version of a box card I will be showcasing on my blog next month. The sentiment is from the "Layering Love" stamp set. The flourishes were each die cut in basic black and melon mambo. Then I mounted them one on top of the other, just slightly off to show both colors. 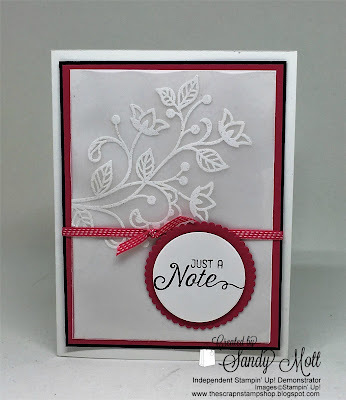 E-mail me at SandyMott01@gmail.com for directions on how to make this box card. I'm happy to send to you. For this card, I stamped a flourish with Versamark and embossed in white on a piece of Vellum. Such a pretty, soft-look. 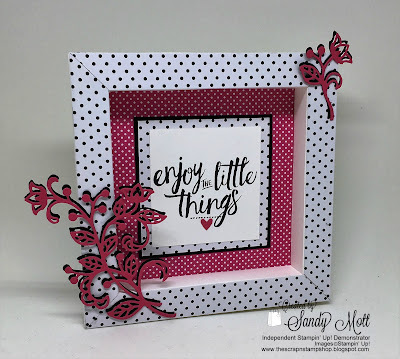 Again, I used the circles collection framelits to cut out the sentiment and backing in Melon Mambo. I would love to hear which one of the above cards is your favorite. Now let's go see what the talented Lori Mueller has in store for us. 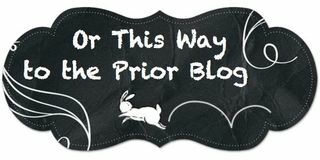 Click on "next blog" below to see her work. Absolutely GORGEOUS projects Sandy!!! I love them all. Thanks for sharing. such elegant and lovely cards, as always Sandy! I adore your work! TFS!! Thanks Lynn! I'm also a fan of yours! They are all lovely, but the shadow box is definitely my favorite. I also like the two different colors flourishes offset. Thanks much Lisa! That one is my favorite as well! Super Duper Cute Stuff! Great ideas!